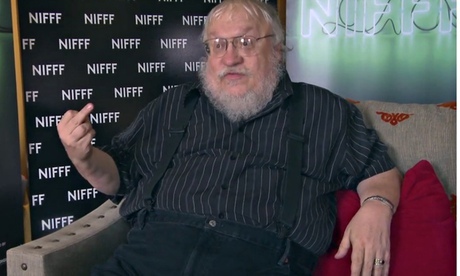 After George R. R. Martin managed to piss off just about every nerd on the planet by effectively coming out and saying that the next Game of Thrones book isn’t coming out this year, he decided to do something nice for a change. Mr. Martin recently donated a rare, first edition of The Hobbit to the library at Texas A&M in honor of their receiving their 5 millionth volume. Not only is this an impressive feat for a library, but it’s also nice to see Martin celebrating it with the college through his gift. Additionally, Martin will have a public reading of excerpts of the book, which will be free and on a first come first served basis. Martin became familiar with the library in the 70’s, when he started attending local scifi/fantasy cons at the school. Worried that he won’t finish his most famous series? Martin has something for you. Martin has previously donated several other items to the library. George isn’t the only GoT person making noise. 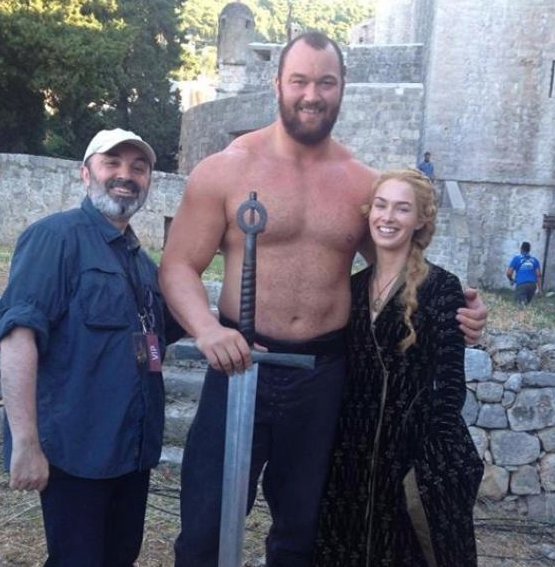 Hafthór “Thor” Björnsson, the third actor to play Gregor Clegane, otherwise known as “The Mountain” has broken a 1000 year old record from viking legend. Thor (we’re gonna call him that because it’s cool and I don’t want to keep typing his name) managed to carry a 1433 pound log five steps. This is supposedly more than the viking Orm Storulfsson who carried a similar log 3 steps before breaking his back. Luckly, our favorite skull squisher’s back held up just fine. Thor’s next goal is to win the World Strong Man title. Having just started working out again, I can barely do full pushups, let alone lift a log. Now I feel much less manly. From actual legend, we turn to those that are made up at the dining room table. Old fashioned maps made up by the GM might soon be a thing of the past. Using a projector and the Roll20 software, one GM is projecting digitally created maps instead of hand drawing them. This is a really awesome looking way to go about making maps and it’s an inventive use of available software that wasn’t designed for this. 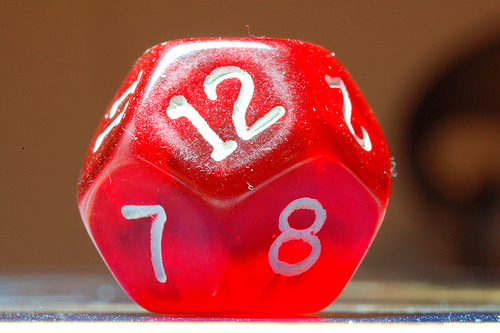 Roll20 is actually intended to be used for internet gaming and the map feature is only a part of the overall package. While the particular GM is likely not the first to have done this, it’s still a really cool idea and slowing pushing gaming tech forward. As a new GM, I’m thinking of how I could pull this off myself. My art skills leave something to be desired. You know, people keep defending George R.R. Martin, but here’s the thing. If he’s late getting a book out, he doesn’t have a contract with readers, but he does have a contract with his publisher, HBO, etc that he needs to keep. And if he doesn’t think he owes his readers anything, he’s diluted: he owes them his fame and wealth and popularity. Makes me not want to buy any more of his books. He’s about as thankless as Stephanie Myer.